Reduction of the silage waste: high weighing precision. 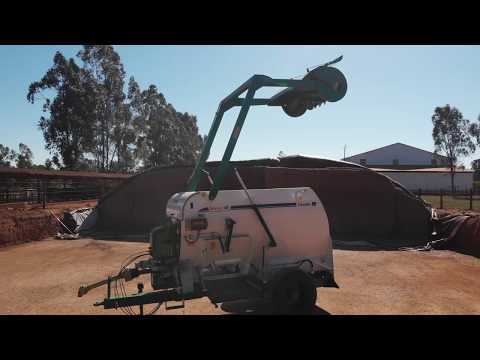 Uniform silage cutting without affecting the silo´s compaction. Reduction on the infiltration of air and water on the silo. Operational gain by lowering the loading and unloading time and there is also the need of only one professional to perform the entire operation. Increased durability and easy maintenance on the field. Hydraulic system that allows lowering the rear of the machine to the ground, avoiding measurement errors of the electronic scale. Pressure gauge for checking the pressure of the silage cutter. High flotation tires (4 m³ models and up). Silage cutter is equipped with a high torque hydraulic engine, and an automatic antilock and arm-lowering speed valve. Bolted silage cutter knives allow easy replacement, even in the field. Galvanized hydraulic hose connectors are anti-leak. Silage cutter knives of the rotor made of reinforced steel and thermal treatment for longer durability. Knife set on the Upper Screw. Straight knife set for the silage cutter roll.